This week will begin the celebration for a couple I am so excited to have met and have the pleasure of creating imagery with. We started off their engagement shoot with a toast at a great rooftop bar, steps away from Chicago's Mag Mile, The Drumbar. The views were spectacular, the ambiance cozy and the drinks delicious! Libations aside, getting to know Amy + Ammar has been so very interesting. Learning their stories of how they met, each of their backgrounds and whom their families are is one of my favorite responsibilities as a storyteller with my camera. Friday I will join Amy + Ammar again but this time to document the Mahar, a precursor to the wedding, required by Islamic tradition in which the grooms family will offer a dower to the bride and her family. Hearing Amy explain how she understands the ritual to take place has me so excited to not only document the event but also the emotions of this woman who was raised in Wisconsin as she is formally invited into the family of her future husband, whom was raised in Baghdad. The world becomes smaller and even more interesting the more I learn about each story I have the honor to tell with my lens. 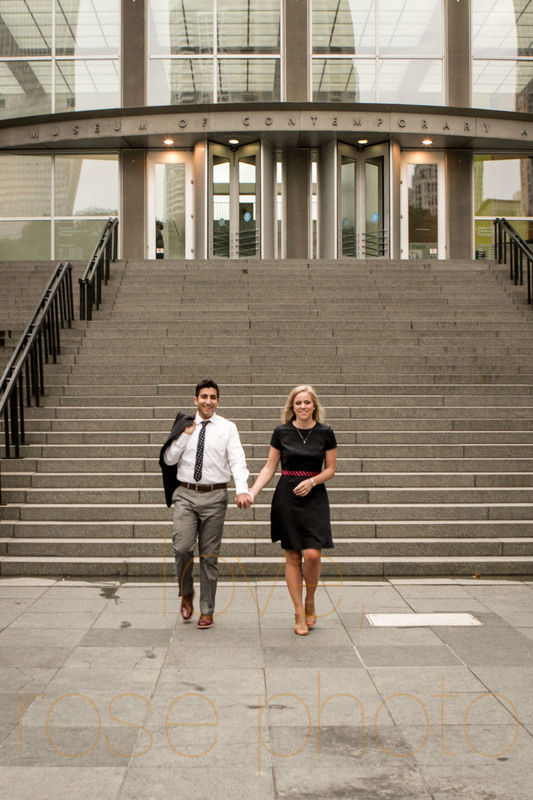 Amy + Ammar, thank you for sharing your history with me. It's fascinating getting to know you both and I can't wait to watch your life together evolve. The Rose Photo crew is so excited to be on board with this celebration, too! We can't wait to capture more as the story unfolds.